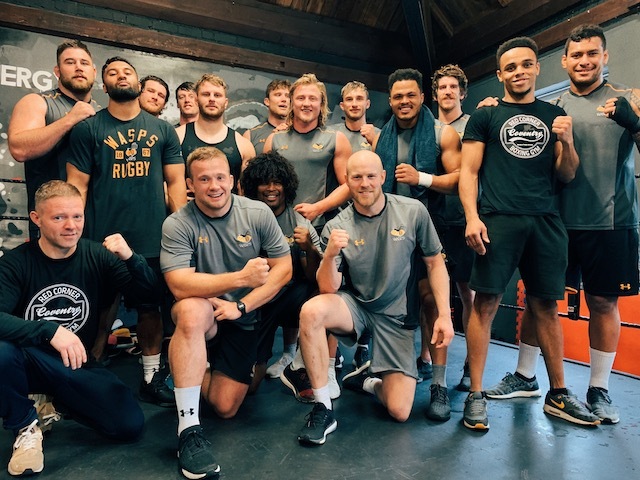 We’ve recently had the pleasure of hosting the Wasp’s Rugby Team here at the gym for a Strength & Conditioning Session. The team were preparing for a cup match on the following Sunday and wanted some different training to really push them. We decided to get instructors Jordan & Baz on the case, together they planned a part boxing, part strength conditioning circuit for the team.